My name is Andreas Betsche and I took part in the 2015 International Summer School at the Universiti Sains Malaysia (USM) in Penang. 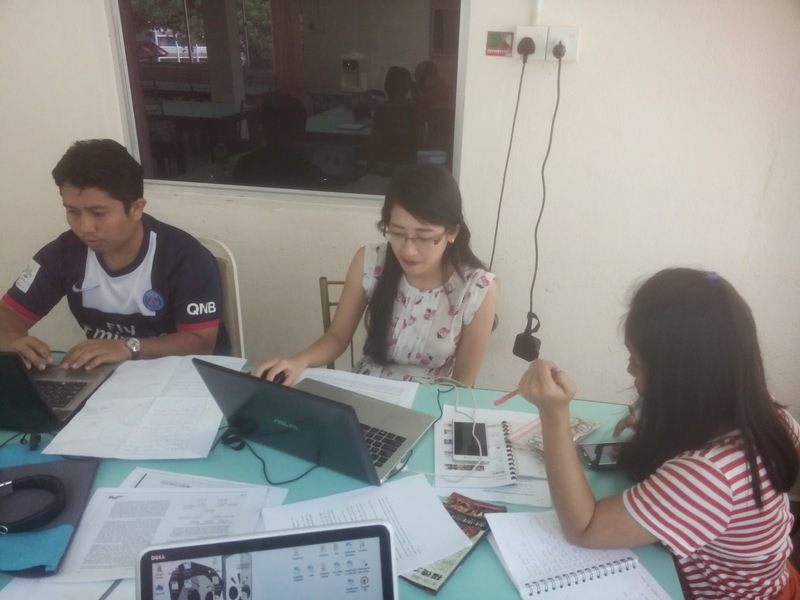 Apart from an interesting series of lectures on Memory Making and Heritage the participants of this year’s summer school had to conduct a research project in small groups. My group consisted of four international students from Malaysia, Indonesia, Vietnam and Germany, namely Mohammad Hazizi, Rina Rahayu, Nguyen Ngoc Thanh and I. 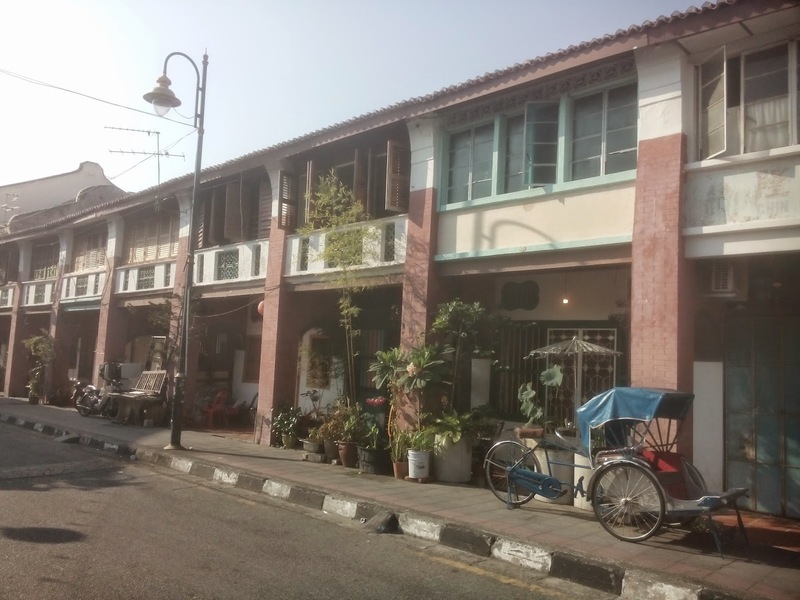 In the following entry I want to share with you the results of our research on the Tua Peh Kong Temple on Armenian Street, Penang and talk a bit about the research process. The goal is to draw a comprehensive picture of what it means to do research in this summer school programme. 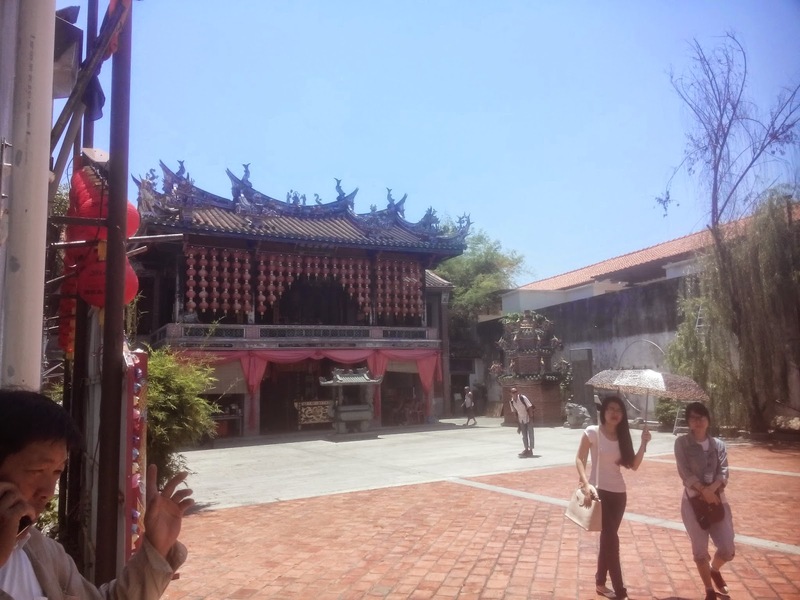 We selected our topic, the Tua Peh Kong temple, from a set of pre-elected heritage sites in and around the UNESCO world heritage of the city of George Town. This gave us the possibility to follow our own interests while our lecturers made sure that we have good access and informants to start with. Most of you might not be familiar with this site so I will give a brief introduction to the temple. After the 1867 Penang riots the society had to sell the temple but managed to keep it in their own lines. The descendants still manage the temple within 4 brotherhood societies and a board of trustees. Apart from the temple members the tenants of the shop houses are deeply connected to the site, as they live on-site. The restoration brought up a conflict of gentrification on the rent the tenants have to pay. This conflict has been solved with the help of an outside organisation. What is the collective memory among the communities of the temple? How is the relationship between the owners and the tenants? How did the situation change after restoration? In regard of the openness of our questions we chose to find answers and collect our primary data through semi-structured interviews with three people. One is a member of the temples board of trustees and therefore representing the owners. One was in charge of the project for affordable housing and negotiated between owners and tenants. Finally, we interviewed one tenant whose family has been living in one of the shop house for three generations. To analyse the data properly we needed to rearrange the data using topic coding (Richards 2005, p. 85-104). This method helped us to quickly find out which topics came up during the interviews and seemed relevant to the interviewees. With the help of these topics we conducted a thematic network analysis (Attridge-Sterling 2007, p. 125-145) to find out which memory themes we could discover and how they relate to each other. To do this we needed to find basic themes, group them in organising themes and them find at least one master theme. With this conclusion we want to emphasise the importance of memory research and especially the research of memories “off the beaten track”. We realised the restoration of the temple highlights the values of a Chinese heritage and culture and tries to bring back these memories. This can be considered the main or dominating narrative. On the other side the memories of the tenants focus on daily life activities and the overall quality of the neighbourhood. Their memory of the place I much more bound to a sense of belonging. It appears the role of the temple as a religious and cultural relic is not considered strong. These memories appear to be considered secondary and at the same time almost invisible when visiting the temple. We found out the there not just one memory of a site but many (often competing) memories. If we dig deeper we might find even more memories. These different ideas about the past need to be considered when a site is declared part of the world heritage. At the end I need to say that I enjoyed our small fieldwork. We started with an alienating field which during one week became familiar to us. Thanks to excellent group work challenged the language problems and the time constraints. The analysis was the perfect time to bring in everyone’s opinions and ideas which finally settled in results. While we know that further research on this topic needs to be done and our work only scratches the surface we are still proud of what we achieved in such a short period. This would not have been possible without the excellent support of our lecturers from USM and HU and the help of other students who helped us with translations and research questions. I want to thank all of you for giving us this extraordinary possibility and make this summer school a huge success. Please feel free to ask questions or comment on our research project! In case you are interested in further information about how the rent conflict between owners and tenants has been resolved, please have a look at this video by Think City. Attridge-Sterling, Jennifer. 2007. "Thematic Networks: An Analytic Tool for Qualitative Research". In: Qualitative Research 2. Volume 4. Qualitative Data Analysis. Sage: London. P. 125-145. Richards, Lyn. 2005. Handling Qualitative Data. A Practical Guide. Sage: London.